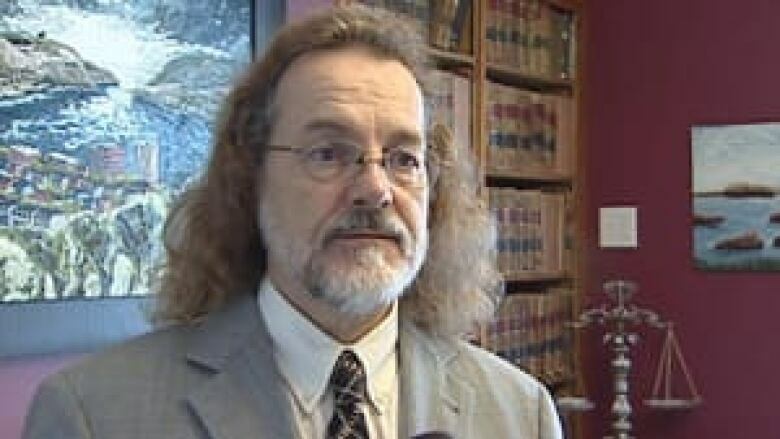 A class-action lawsuit has been brought against Newfoundland and Labrador's largest health authority, with a St. John's lawyer saying an apology last month is not enough. Eastern Health disclosed in July that it had fired five employees in recent months for privacy breaches, including a nurse who had inappropriately gained access to the medical records of 122 different people. Tammy Taylor, the woman who initiated the suit, has been so disturbed by the experience that she cannot speak publicly about it, her lawyer Bob Buckingham said Monday. "She has lost sleep. She has lost work. She hasn't been able to focus," Buckingham told CBC News. "She is presently on a leave of absence and this has been traumatic for her." Eastern Health chief executive officer Vickie Kaminski issued an apology in July while disclosing the breaches, and said each patient would be contacted personally with the authority's apology. But Buckingham said that will not suffice. "There seems to be a lack of sensitivity in terms of the impact that these breaches have had on people and so far the apology hasn't been satisfactory," he said. Buckingham said many of the dozens of patients he has spoken with believe Eastern Health waited too long to contact them about the breaches. In the case of Taylor, Buckingham said the authority was aware of the breach in November, eight months before she was contacted. But Eastern Health denied Buckingham's claim, and told CBC News that it did not investigate the breach at the centre of the lawsuit until July. Last week, Buckingham brought a similar suit against Western Health over a privacy breach involving a single employee who had accessed the medical records of 1,043 patients.